One of the most important benefits of taking computer courses is that the students will have more jobs available to them. The types of new jobs that will be available depend on what kind of courses they take, but every group of courses will open up new opportunities. Almost all jobs require that a worker has some computer skills. The number of positions available to those who aren’t comfortable using computers gets smaller each day. The field of data analysis deals with understanding and managing a company’s digital information. A data analyst must be able to read and sort through the company’s “database,” where important information about products, expenses, and other related information is stored. The information is often in a programming code and may not be organized well. A data analyst finds desired information, and makes suggestions to other workers based on the results they find. To help an analyst in his task, he uses data management and reporting software. In the end, he uses his own judgment to find out what data is important or meaningful to his employer and coworkers. Users who are skilled at fast and accurate typing can find positions as word processors in a variety of fields. A word processor is in charge of creating documents on a computer. It is a job similar to data entry, but it usually allows the worker more freedom with what he writes. Businesses that use many computers usually need workers to maintain and supervise these large computer systems. Systems and information technology (IT) managers help to set up these networks and keep them running smoothly. They must know all the various ways a network can run. Businesses may also need workers to design and update software for their computer systems. Making sure these computers are safe from hackers and viruses is also an important job in IT. Another growing field involving computers is telecommunication. More people are able to work from their homes and other distant locations than ever before because of new technology. In order to work from home, an employee gives up the freedom to walk across the hall to get help from another staff member if they encounter technical problems. Because of this, a home worker must have the knowledge it takes to prevent time-consuming problems and to know how to fix them if they do happen. A data analyst's job is to sort through a company’s digital records to find out what useful information can be learned. There are several different kinds of data analysts, but they use similar methods of sorting and analyzing information. The three main data analyst functions are to study and understand the information a company uses, find ways to improve the data and how it is used, and/or test the results of experiments that have been done to improve how a company does business. The information a data analyst learns is then presented to coworkers and employers in the form of a model that can be easily understood and used. Data analysis is a profession that is in demand in many fields, including the healthcare, finance, and industrial sectors. This position requires a background and interest in mathematics and statistics. A four-year degree in these fields or in general computer science is required by many employers. Writing skills are helpful when an analyst has to prepare reports. Also, knowledge of the specific field in which an employee wants to work will give him an edge in the hiring process. Data analysts whose job it is to understand and simplify a company’s existing data use “descriptive statistics” to sum up the data used in a company’s computers. This information can then be passed along to other employees who need it broken down for them. The results are also given to “exploratory data analysts” who think of ways to make changes that will help the business. If these analysts find practical changes that can be made, they are passed on to “confirmatory data analysts.” These analysts test the changes to see if they will work before they are tried out on a large-scale basis. Each different data analyst follows the same basic procedure in order to produce accurate results. First, an analyst performs a task called “data cleaning.” This is where he inspects the information that he is given to make sure that it doesn’t have any major mistakes. If there are mistakes, they are corrected. After a data set is cleaned, the analyst reads through it to make sure the information is appropriate for the analyst’s task. The analyst makes small changes again if they are needed and makes sure that he doesn’t need any additional information. It can then be reported to coworkers, employers, or other analysts. Some changes may also be suggested when the analyst presents the information, if the analyst sees a possibility to make the business function better. While much of a data analyst's job involves reading and understanding coded data by using his own skills and reasoning, he also uses software programs to make his job easier. Modeling software can process data and make it presentable in a way that highlights trends in the data, as well as possible and existing problems. Software also helps test the solutions that analysts create. Final presentations are usually created using presentation software that takes an analyst's results and converts them into readable graphs and charts. If a student wants to become a data analyst, he will need to learn about these software packages in order to do his job. Computer courses are a convenient way to learn about these programs. A word processor is the name of both a form of computer software and a job title for a person that uses it. Word processing software is some of the most common software available for users and is one of the first and most basic forms of software used by beginner computer users. This software allows users to write information using their computer keyboard. It also lets them edit, save, and print the information that they have written. Some word processors also help users by providing formats to make their documents more readable. Saved files can be easily transferred to other computers that have word processing programs on them. Almost all computers come with some form of word processing software already installed on them. There are also web-based word processors, which allow users to do all the tasks of traditional word processors, except that information is saved on an outside web server. This saves space on the user's computer and allows the user to open their documents on any computer with internet access. The job description 'word processor' includes any position where an employee performs most of his or her duties by using a word processor. This includes most forms of data entry, technical writing, stenography, and many more. Word processors may also be hired to prepare reports and write letters for company representatives. They use the advanced editing features that word processing software offers to ensure that reports are free of grammar and spelling errors. The word processor will then give the documents to other workers, or will file them for future reference. A word processor takes on other basic office duties as they are needed. The content created by word processors largely depends on the specific company for which they work. Transcribing handwritten information is common. They may also be required to edit previously typed data and convert it into a proper format for presentation. A word processor may be required to do some research and interpretation themselves or to perform mathematical calculations with information supplied to them. They may also work with data analysts to help make the analyst's findings clear and presentable. They may take down dictation by employers and employees and perform basic upkeep on an office's printers, copiers and scanners. A word processor doesn’t usually need a really deep knowledge of computers. Most of what he needs to know will be covered in an introductory computer course plus a basic word processing class. Often a two-year degree in either English or computer science is all that employers require of applicants. Some office and clerical experience might also be required of applicants, since a word processor may be expected to perform various other tasks within an office. 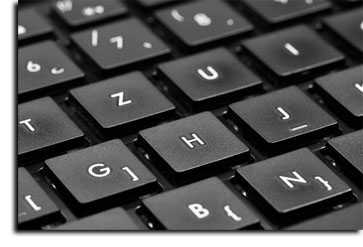 Speed and accuracy in typing are important skills for any word processor, and workers should consider taking typing courses to help them improve their typing skills. A systems manager is responsible for overseeing the creation and maintenance of computer networks within a business. He communicates the technical needs of the systems he oversees to other workers and to administrators when reports are needed on the systems the company uses. He may be required to troubleshoot problems that come up on his systems and make sure that all the systems run as efficiently as possible. Often he is in charge of finding solutions to company problems that can be achieved without purchasing and setting up new hardware. The job description of systems manager is a general one, and a systems manager may have duties that overlap with other technology management positions. If a systems manager is working with other technical managers, he is often in a position to communicate the needs and problems of other technical workers to upper management and other supervisors outside of the technical field. The most basic task of systems managers is to have a working inventory of all the hardware a business currently uses. With this inventory, they are able to make calculations that determine how efficiently work can be done in the technical field. They will be in charge of finding the best way that office hardware can be put together into networks so that each part is used as efficiently as possible for the business. They will monitor the speed of their systems and the availability of storage, and determine when and if upgrading the hardware is necessary. When upgrading is necessary, it is the system manager's job to prepare a budget for approval by administrators. Systems managers are also in charge of keeping track of the licensing of the software used in an office. In order to use many kinds of software, it must be licensed by the software's manufacturer. This is a costly but necessary process if a business wants to use the latest commercial software. A systems manager keeps track of this software and of when new licensing is necessary. Although other members of a company will frequently be in charge of maintaining the security of a system, a systems manager may also help with the process of installing and monitoring the use of the antivirus, firewall, and anti-malware software within a business network. If the business also employs a security administrator, then the systems manager will simply keep track of when protective software needs to be upgraded, and report on this to superiors within the company. To become a systems manager, an applicant should have strong knowledge of all the functions of the components in a computer network, and how to properly design a working network. He should also be effective in communicating these terms to people who lack a strong background in technology. A four-year degree in computer science is generally required, and supplemental computer courses in creating networks can be very helpful to those seeking a systems management position. Many courses on creating networks offer the student the ability to become a certified network technician. Even if this certification is not required by an employer, it still looks impressive on a resume and will be very useful if a worker decides to change companies. Software administrators oversee the development and use of software in a given company. They help to decide the software that a business uses and may assist in designing it as well. The software administrator will oversee the installation of the chosen software, and help train other employees to use it in the most efficient way. If a problem should arise, he will frequently help with the troubleshooting process. The main part of a software administrator's job is to keep track of the inventory of the various software packages used by the company. This includes operating systems, programs, drivers, software servers, and software pertaining to the network. Once an inventory is made, an administrator makes sure the programs run as efficiently as possible. He will also note how helpful each software package is to employees and determine whether the packages need to be upgraded or replaced. He also helps keep track of software licensing issues to make sure that all the software he is managing is legal and up-to-date. He then lets other administrators know of his findings, especially when a piece of software should be removed, altered, or upgraded. Sometimes a business will decide it is more cost-efficient for it to design its own software rather than paying for commercial licensing. If that happens the software administrator will design the software, making sure it meets the unique needs of management and the employees. He will then communicate those needs in more technical terms to software developers. The administrator will oversee the progress of this software as it is created and possibly, aid in the creation as well. He will then report on the progress of the new software, and if it is fully functional, oversee it being installed on the company's computers. Some software administrators will work only with servers, making sure that the software that a server is running is up-to-date and not slowing down the functions of the server in any way. They will work with systems administrators to ensure that the software on the network allows for the fullest functionality of the various types of hardware that are attached to a network and make changes as needed. To be employable as a software manager, an applicant must have knowledge of common programming languages. Knowledge of the many kinds of software and their specific advantages and disadvantages are important as well. He must know how to install software on a system in a way that doesn’t put too much strain on the servers. It is also important to be able to communicate any technical problems that might occur to people not fluent in technology. Most companies require a four-year degree in computer sciences or similar field. Additional certification is available and is helpful in attaining this position. Taking computer courses that give an overview of new systems and software will help software administrators stay current with advances in their field. Due to the high cost of hacking to businesses around the world, many companies have a security administrator to help protect them and decrease the risks posed by destructive, unauthorized users. A company's security administrator is in charge of maintaining the privacy of company records and information and is also in charge of watching for unwanted programs that may enter a company's system. He has access to almost all the passwords that protect a company's files and information and has the knowledge to detect intrusions into restricted areas on a company's servers. A security administrator does much of his or her job by selecting and working with the protective software on all the hardware a business owns. The administrator must have a strong knowledge of the various ways a network's security could be threatened and make sure that the company’s network is as secure as possible. He keeps records of all the passwords and creates them such that they are difficult to guess or crack using illegal software. He is also in charge of making sure these passwords are updated regularly. If there is a breach in the security of a system, the software administrator is often informed by an intrusion detection service (IDS). The IDS will form a log of the nature of the intrusion and submit it to the affected departments in the business. The security administrator may have the ability to trace the unauthorized access right to the offending computer. If he is able to do this, then a business may press charges against a digital thief or vandal. Sometimes, a security administrator's role is merged with that of a systems administrator, but frequently it is a position all its own. Due to the high stakes that are often involved in digital security, it is often useful to have a single individual able to devote all of his time to the problems that can occur if there is a security issue. A security administrator will still likely work closely with a systems administrator to make sure that the system is set up in a way that leaves as few vulnerabilities as possible for hackers to exploit. There are many requirements for becoming a security administrator because the job deals with very sensitive information and a company could be damaged severely, if the position is offered to an untrustworthy individual. It is likely that, even with a four-year degree, additional high-level computer courses, and specialized certification in security, a computer professional may have to work for a company for some time before he is allowed to maintain the company's security system. If a worker has the necessary skills and is able to demonstrate strong loyalty to the company, he may find himself eligible for this respected position. An information technology (IT) manager is the highest ranking manager of the IT department. He is in charge of everything that relates to technology in a business, from hardware to software and all the various parts of a business' network. While a company may hire many specialized managers in the IT department with overlapping roles, ultimately all these managers report to the head IT manager. Together, they make sure the existing network operates as smoothly as possible, and find ways that it can be improved. Findings and issues concerning the IT budget are then presented to the appropriate company officials for consideration and approval. In addition to an IT manager’s role in determining the IT budget, he has a great deal of control in the staffing of the IT department. The IT manager determines what kinds of workers are needed. He also has a role in determining the kinds of specialized managers that are required to oversee the employees and the systems they use. With the systems administrator, the IT manager will help design the network that will be used in a company. He monitors the usage and development of software for greatest efficiency, and recommends new and updated software when he determines it is necessary. Often an IT manager will only work with other high ranking administrators and may manage more than one office at a time. In addition to being skilled in the technical field, most IT managers have strong knowledge of the business world and help their departments remain competitive with other businesses. They help translate the needs and demands of upper management into technical problems that they and their workers help solve. They communicate with project managers on developing realistic deadlines and will report to the project manager on the progress of a current project. They may also help to plan, design, and test products and emerging technologies for their company. Although IT managers often rely on other supervisors to troubleshoot technical problems in the office, they may be called upon in the event of a large or very serious problem. If a server crashes, or the software used in an office becomes unusable for a reason that cannot be determined by the software administrator, the IT manager may be called in to assist in finding and fixing the problem. Then he will probably follow up with other workers involved in the construction of the network's infrastructure to ensure that the problem does not repeat itself. Due to the high level of knowledge and skill involved in an IT manager’s job, four years of college education that focus on computer science and business are often just the beginning of the requirements for this position. Additional high-level computer courses and certifications are required, and it is likely that the IT manager will be promoted from within the company rather than being hired from outside. Because IT managers are in relatively high demand, job security is almost assured. The outlook for employment and the importance of the IT manager’s position make the time and effort required to achieve this position worthwhile. The field of telecommunications deals almost exclusively with products that are associated with information technology and services. Telecommunication businesses hire more technical workers than other businesses that regularly use technology to conduct business. Today, the telecommunications industry provides phone, Internet, television, and communication software services to customers both for home and business use. Although some telecommunication providers specialize in a specific form of telecommunication, many attempt to learn multiple forms for ease of use and efficiency. The most rapidly expanding form of telecommunication is the mobile phone industry. For decades, phones provided little more than voice communication between two distant parties. Recently, the number of uses for common phone hardware has expanded considerably. Phone companies now regularly develop and sell software applications that can be used on phones for a variety of different purposes. This has created many employment opportunities for those capable of developing small useful forms of software that include interactive maps based on global positioning systems (GPS), specialized versions of websites, games, and many more functions that can be accessed via a user's mobile phone. Traditional phones and television are increasingly using satellite Internet technology as well. Even land-based telephones ultimately send their information to satellites to increase the speed of connections, and sound quality, to users. Television is now entirely digital, and companies often offer services that increase the ways that viewers can interact with their televisions using Internet technology. This has created new jobs in both areas as software engineers are constantly rethinking and reworking these technologies to make them more efficient and easier to use. The Internet has seen a recent explosion in the way that people can communicate. Providers of web mail store data on their own servers so it can be accessed from any Internet connection. The amount of raw information on the Internet has increased over the years as well. Now, warehouses full of servers must be maintained in order to continue storing this much information. The field of developing software that lets people interact over the Internet via live video is also growing as it has become more affordable and as past problems, such as bugs and slow response time, are becoming less of a problem. With their continued popularity, comes an increased need for maintenance, and a need for qualified individuals to make improvements on existing technology. The increased use of telecommunication hardware and software has also created a need for increased tech support for home and business. There are new users every day who need to gain better knowledge of their new technology. Workers, often assisting customers remotely, are in constant demand as more and more people need help using the advanced technology. While it is hard to imagine how people will communicate over distance years from now, it is certain that new technology will need to be developed to make the process simpler and more interactive. Research and development in this field can be expected to create exciting new products and services. All of these translate to job opportunities for those interested in helping make them a reality. The qualifications for telecommunicating are less defined than most tech jobs, and depend on the specific branch in which an employee wishes to work. Skill and innovation are often more useful to people than qualifications in this field. It is still a good idea for a person to have a degree in computer science, certifications in popular programming languages, various upper-level computer courses, and a working knowledge of business trends in order to have the skills he needs to solve the problems of the future, as well as of today.